According to recent information published by the American Heart Association and the American Stroke Association, nearly 2.7 million Americans are dealing with an abnormal heart rhythm or heart rate brought on by atrial fibrillation – a seriously dangerous and even potentially deadly condition that needs to be addressed ASAP or things can really get a bit risky. Thankfully, there are a lot of AFib medication options out there that you’ll be able to take advantage of to help remedy the irregular heartbeat or the irregular heart rate that you are dealing with, and you’ll also be able to settle down the risks for stroke significantly as well. 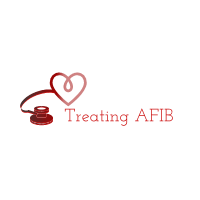 AFib treatment options are many and varies, but the medication options available (all of them prescription drugs), will provide you with the very best chance to regularly and consistently beat back the symptoms or the serious complications that you may be facing. Medications for AFib give you every opportunity to resolve these issues without having to turn to risky invasive surgical options, all while at the same time, providing you with the chance to really tailor your specific treatment protocol to the situation that you are contending with. With so many different medication options out there for this particular condition though, you’re going to need to make sure that you know exactly what you’re getting into. You’ll want to work side-by-side with your general practitioner and a cardiologist (if you’ve already gone to visit the specialist), to come up with medication protocols that are going to actively combat the issues at hand. To better understand the solutions that prescription drugs for AFib can provide, we’re going to have to dive into some of the options that are available right now. Better understanding atrial fibrillation so that you know how medication is going to work. Before we really start to get into all of the different medication options that you’ll have available to you when it comes to time to remedy or cure this medical condition, it’s important that you understand exactly what you’re up against so that you always end up moving forward with the AFib medication that gives you the best chance of success. As mentioned above, atrial fibrillation is an abnormal heart rhythm or heart rate that is caused by the upper chambers of your heart not working as they should and certainly not working in concert with your lower chambers – something necessary for optimal operation of your heart and overall function of your cardiovascular system. There are a couple of different root causes behind AFib but for the most part, this is a condition that can be controlled using medications or surgical interventions (but usually only after things really start to get a little bit dicey). The medication options available on the market right now are better than they’ve ever been before, so if your doctor recommends that you take any of the options that we described below and wholeheartedly endorses them, understand that you are in the best of hands! There are two major groups of AFib medication options out there. • Medications that specifically focus on eliminating the prospects of blood clots from forming so that you don’t have to worry about a stroke. Sure, some of the medication options out there are going to do a bit of “double duty” – many of the best medications for this particular condition treat the heart rate/rhythm and eliminate the chance of dealing with blood clots – but they all are going to be easily categorized into these two types. Heart rate/rhythm medications are going to (surprise, surprise) work to manage and mitigate any irregular heart rate issues that you’re dealing with, while at the same time promote a more consistent operation of your heart and a more regular and consistent pattern. Medications more focused on ensuring that you don’t have to deal with a stroke are going to try and break up blood clots before they have an opportunity to rocket up towards your brain, while at the same time working to improve your overall cardiovascular system and its ability to shuttle blood across your body. We are going to duscuss both of these different types right now. The overwhelming majority of people that are dealing with AFib as far as rate and rhythm are concerned are going to be dealing with a heart that pumps a lot faster than it should. Any time you overwork your heart (which is exactly what happens when it beats a lot faster than it should) you’re risking the occurrence of an early failure. This is why the prescription drug solutions specifically designed to combat heart rate and rhythm issues are so impactful. Beta blockers, calcium blockers, and digitalis glycosides are all going to work to calm your heart down a little bit and give it more rest between beats. These medications have proven to be effective at stopping AFib dead on its tracks before it has a chance to spin out of control, though there are drawbacks and side effects of using any prescription medications (including these ones). Anti-arrhythmic medicines and blood thinners eliminate clots and the potential for a stroke to occur. A lot of atrial fibrillation issues are caused by electrical signals getting crossed up somewhere further up the line, resulting in your heart jumping when it should be “at rest”. These medications are going to work to specifically target these electrical signals that get crossed while at the same time eliminating the risk of blood clot formation to occur throughout the body. Sodium channel blockers, potassium channel blockers, and good old-fashioned “blood thinners” all fall under this umbrella and each of them can produce stunning results when used appropriately and under the supervision of a trusted and trained medical professional. These medications work to eliminate AFib issues from the inside out, usually penetrating deeper into the heart (by riding the “blood shuttle”), and once they take care of the job, they start to go into maintenance mode so that you don’t have to worry about these issues in the future. Obviously, anytime you’re talking about using prescription drugs (especially ones as potent as these blood thinners can be), you need to ensure that you understand exactly what you’re getting into and how to manage any and all medical issues that might come up later down the line. These aren’t the kind of medications that you can just kind of fool around with by any stretch of the imagination. If you want to give these anti- arrhythmic a bit of a drive run to figure out whether or not they are going to be able to help you out quite as much as you may have been led to believe they will, simply take an aspirin or two (depending upon the information on the bottle in your specific situation) and measure the results. Aspirin is a very, very mild blood thinner compared to some of the prescription drugs out there, but it is still going to give you a better idea of the kind of results and impact that you’re looking at so that you know how of these medications actually work. It’s a great way to determine whether or not you should be moving forward with these blood thinning and electrical “short-circuiting” drugs before you commence with other plans. At the end of the day, it’s nice to know that there are so many different solutions that you’ll have the opportunity to take advantage of when you want to use AFib medication solutions to clear up this medical problem once and for all. You’re definitely going to want to ensure that you are working step-by-step, hand-in-hand with your general practitioner when it comes to cleaning up your AFib issue, but you’re definitely going to emsurenthat the lines of communication are open if they’ve recommended that you start to go forward with a medication solution.